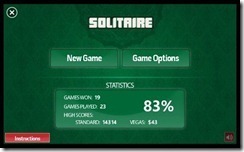 We have many examples of ad supported games done wrong. I have seen ads place in a way that triggers clicking on it accidentally. 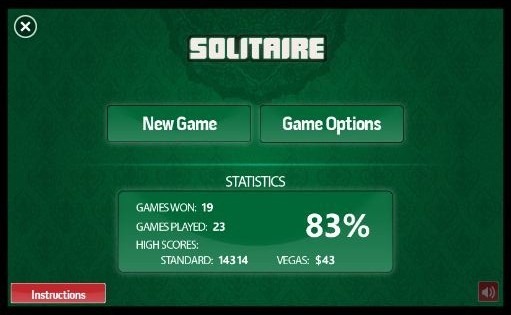 You also bump into plenty of free ad-supported games that are just plain bad. 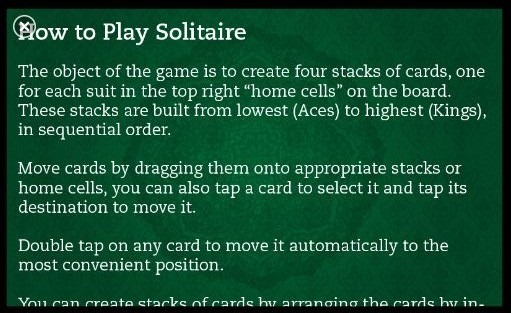 Enter solitaire, a great casual card game that is free and the ads aren't really in your way. There's not much to say about the card game itself. 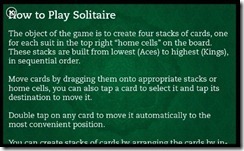 It plays like the popular card game should. 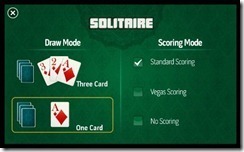 Pressing and sliding cards over is a smooth process and the graphics are sharp and well done. 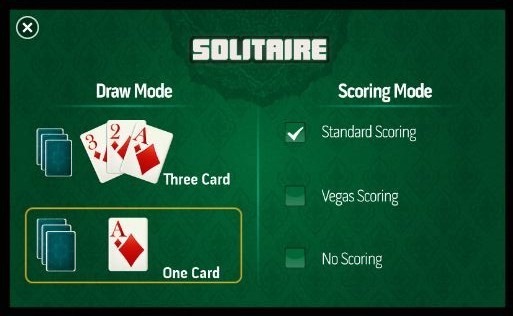 You have your score and time on the left part of your screen and it gives you your typical options like drawing either 1 or 3. cards at a time. 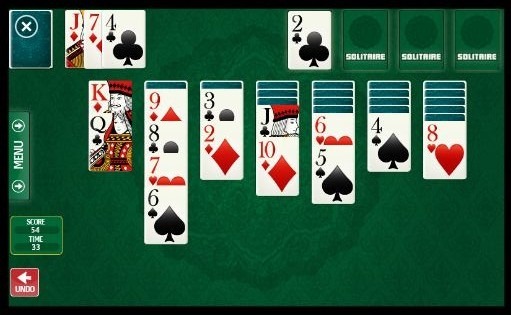 The only thing I really dislike is the fact that you have to scroll down constantly to see the bottom cards on your pile. After playing a few games it might start to get a annoying. As far as free casual card games go on the windows phone 7. This one is a must download. Written by: Hyde13 on February 24, 2011.